← The death of live music in Luton / Dunstable / UK? January always tends to be a quiet and so after a quick trip to Egypt (the first real holiday for more than a decade) the gig action kicked off towards the end of the month with a Burns’ Night Event in Kimbolton Cambs followed by another one for our friends in the Army Medical Corps at the end of the month in Aldershot. The first of these was actually a gig that should have been the previous September. An agent that gives me a fair amount of work had asked – as a favour – to give the client an especially good price as a ‘mates rate’. I agreed to this since it seemed to be a good idea to keep on the good side of the agency. The problem was when the client wanted to postpone the gig due to poor ticket sales so I had to decide whether to agree to this or not. To insist on the agreed date and fee would be likely to cause a kerfuffle with the agent, but the postponement meant that I had a hole in an otherwise full calendar. Furthermore, he proposed new date was a Burns’ Night which tends to be a higher payer due to the demand for bands. I agreed with some reservations – and a higher fee – but still I feel the agent should have known better in the first place than to ask for a lower fee, and then to push me to change the date. The client may be forgiven for not knowing what the score was when booking a professional band, but not so the agent. A good example of the adage “no good deed goes unpunished” I guess. February was also quiet with just one paid gig at the beginning of the month which was a Hoedown for a 50th birthday party in a church hall in Kent. This gig featured the amazing Liz Scholey calling who I would say is the best caller in the land for this kind of event. Liz is a dance powerhouse and the only person I know who can kick higher than her head. She manages to communicate her amazing enthusiasm for dance to the audience and a good time is guaranteed for all. This gig was the second we’d done at the this venue and was in the Hoedown Party format which is a mix of rockin’ country songs interspersed with barn and line dance segments. This was the first gig that we used the small BOSE pole system (i.e. the compact) which was loud enough to require that I mic’d up the drum kit. I was very impressed with the system which we had borrowed off Liz for the night. This was also the gig that I realised that the fiddle player was pretty much an optional extra with respect to the band’s sound. This gig also marks the transition from working mainly as a ceilidh / barn dance musician to mainly playing in the new Hoedown format. In 2012 60% of my gigs were barn dance / ceilidh, either with MoonDance or one of the acoustic lineups (MoonLighting / MoonDance Acoustic), 30% the Hoedown Band and the other 10% a mix of covers / celtic / original and poetry. In 2013 the Hoedown gigs hit 60% with and increase in the overall number of gigs by over a third. Since then I’ve thought a lot about the change in direction but, apart from the obvious commercial reasons, it does make sense since my path up to this point had been via the folk rock genre, and country music comes from the same roots, albeit via a different path. Also, the combination of social dance (i.e. barn/line dance) with songs is something that I’ve been trying to do ever since I arrived in England in the early eighties. The mix of country music and dance is much more compatible than trying to use english folk (or folk rock) – which most English audiences don’t ‘get’. The other thing I tried over the last couple or years was bolting on a covers set to a ceilidh outfit which, with a few exceptions, was just plain awkward – neither fish nor fowl. Also, I reckon I have managed to put somewhat of an original feel on the whole thing, the resulting music having a distinct rock feel which differentiates the sound from a ‘straight’ country band – sort of folk rock with a north american accent. Anyway the audience vote with their feet, in this case by getting up to dance. February finished with a rare live gig doing original material for one of the worthy PDM gigs at the Four Horseshoes in Luton. The gig also featured two other bands playing in the rock genre and though, it wasn’t well attended, we went down well. PDM is one of the few promoters around that don’t rip off the bands. 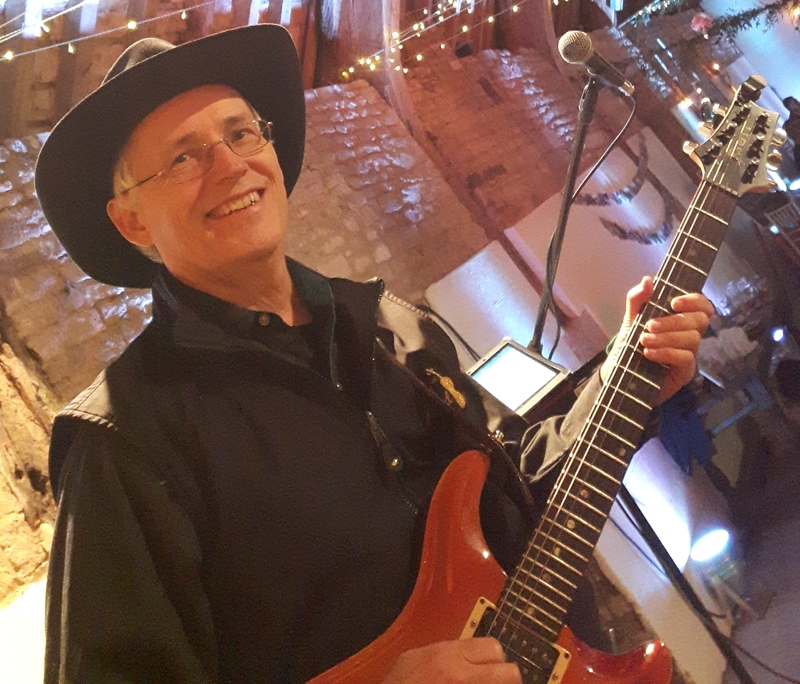 PDM are dedicated to promoting original live music and musicians in Luton and Paul Curry – who also plays bass for Third Law, a well known local band that he helped form. I’ve done a number of gigs for him over the years and can highly recommend his dedication to the local music scene. 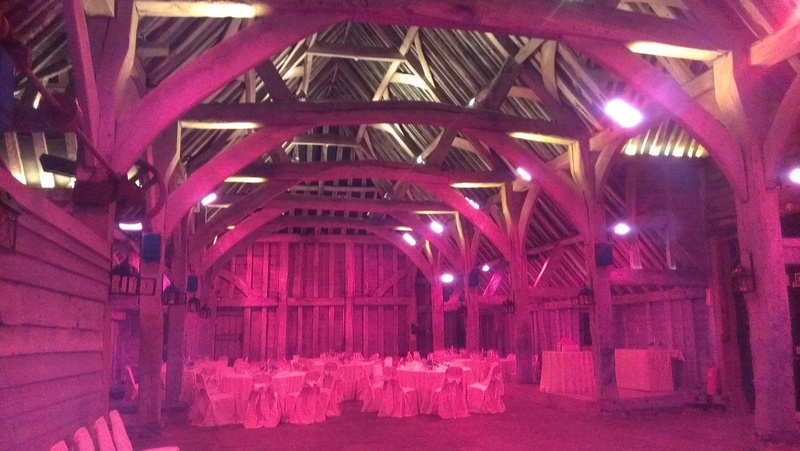 March saw things starting to hot up with a Hoedown gig at a amazing barn in Wymondley near Stevenage. It was built by King Henry VIII and apparently has associations with the Knights Templar (not to be confused with the Barron Knights) though we didn’t see any evidence of Dan Brown there. It was a 60th and the birthday girl’s requested song was Country Girl (Shake it for me) which is an interesting mix of rock and (almost) rap. We liked it so much we kept it in the set. 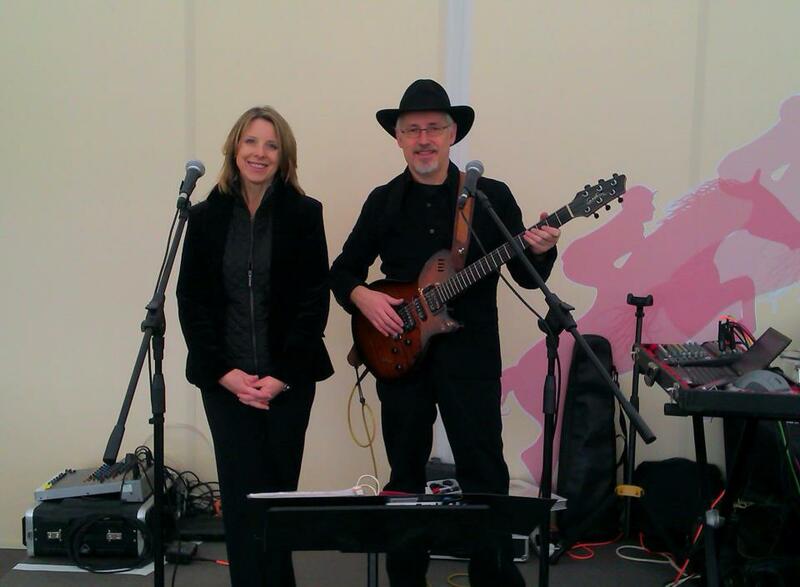 The following week, Dawn and I did a run of gigs at the Cheltenham Festival which consists of four days of horse racing near the Welsh border. This was the fourth year I’d worked here, but the first as part of a duo. Previously they (i.e. Keith Prowse) had booked me to provide a band playing a mix of celtic and other material. However technical problems with sound isolation at the venue coupled with a tightening of the budget due to the recession meant that they needed to scale down. Luckily we had just started putting together a duo (now called the Sloane Rangers) which meant that I could pitch a cheaper option to them. The new format went down very well and they promised to book us the following year (which they did!). The end of March saw me playing at the Australian National Folk Festival in Canberra with my Aussie outfit – The Bluetongue Bush Ceilidh Band. This ensemble is designed to bring back to Australia my experience of the current UK ‘e-Ceilidh’ scene. The ‘Nash’ line up featured a great bunch of musicians from both the Australian and English dance scene – namely; Peter Anderson on button accordion (and calling), Greg Hunt on fiddle, Ian Blake on bass, Jon Jones on kit drums and Dawn Moore calling. My aim is to bring the energy of rock and funk that I’ve developed over the years in the UK to the bush dance scene. The band debuted at the Fairbridge Festival in Pinjarra, Western Australiain 2009 and wowed the audiences there with both the ‘full on’ dance music and their approach to calling bush dance. In 2013 the band played at the National Festival In Canberra, receiving comments such as “…best dancing I’ve done in Australia” (Andy Stafford, Chippenham Folk Festival). It’s early days yet, but I hope to develop this idea over the next few years. This entry was posted in Brian's Diary, Free-range Musician and tagged Australia, barn dance, Brian Heywood, Canberra, country music, entertainment, Hoedown, Hoedown Band, live music, Luton, music. Bookmark the permalink.